Product prices and availability are accurate as of 2019-04-23 11:58:10 UTC and are subject to change. Any price and availability information displayed on http://www.amazon.co.uk/ at the time of purchase will apply to the purchase of this product. HUGE 6ft bean bag - Dimensions - 1.80m Length (6ft), 0.90m Width (3ft) 0.40m Depth (1ft 4") Constructed from quality faux leather which is specially embossed to imitate real leather. Because its made from quality faux leather, its is easily wipeable which makes it great for any home, even those with young children. Stitched with reinforced seams for extra security which ensures this bean bag will last a long time! 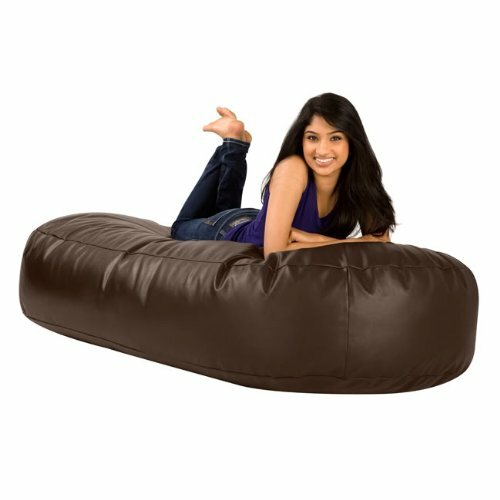 This versatile bean bag can be sat on in multiple ways. It can be propped against the wall for a large back rest, it can be lounged out on! This bean bag can fit 3 people on comfortably. 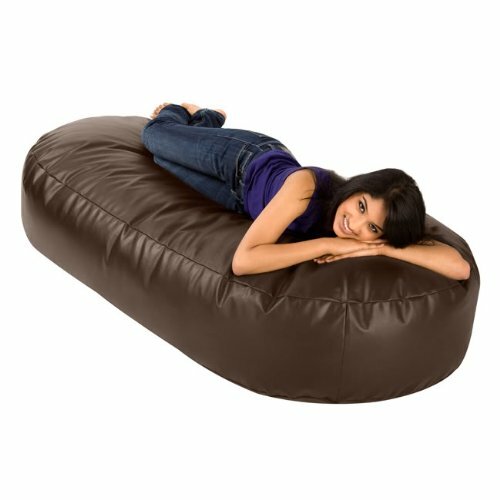 You won't find any other bean bag on the market that offers 6ft of lounging space at such incredible value! This is the longest and most versatile bean bag in our range. It can be used as a 3 seater sofa or a lounger bed, great for an afternoon snooze. Can be used for any relaxing activity such as reading, gaming or just watching TV. With reinforced seams for strength, this bean bag can be sat on in any way you can find! From tilting it against the wall to create a massive bean bag chair, to laying out flat and having a little snooze. This will be your new household chair that is desired by everyone in the family. Please check that you have enough room for this HUGE piece of furniture. There are matching items available in the same fabric, see our storefront or details. 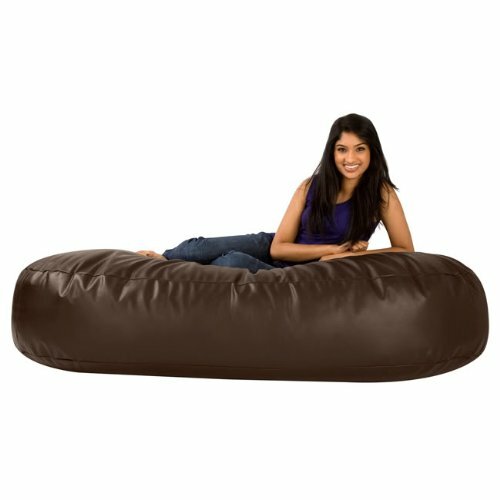 Only at Bean Bag Bazaar - the home of bean bags!